We often see advertisements on Television of a person biting into an apple and seeing blood stains on it. Yes, that is exactly what bleeding from gums look like. One of the most common ailments these days and often the most neglected one also – 60% of Adult population suffers from bleeding gums. 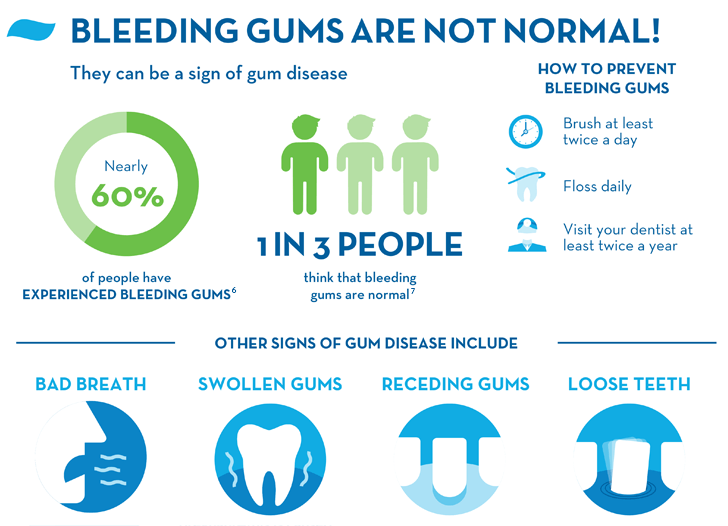 Unfortunately, 1 in 3 people think that bleeding from gums or that occasional blood that we see while brushing is normal – IT IS NOT! 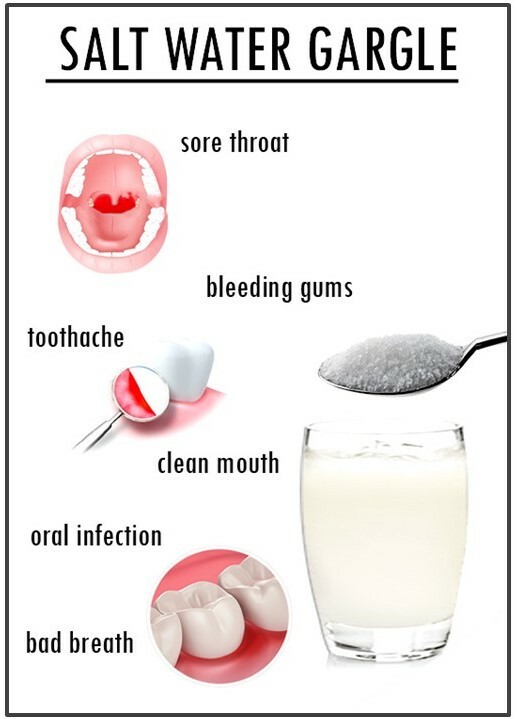 We overlook our dental health and even neglect it at times until we feel pain – bleeding gums is an early indication of a more severe oral issue. While caring for your teeth is important, many people forget the value of caring for their gums as an important part of maintaining good oral health. 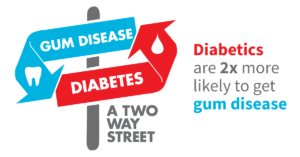 Gums are the foundation of a healthy mouth since gums provide important support for your teeth. 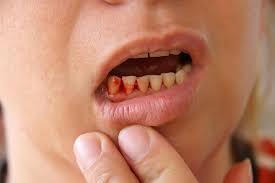 Bleeding gums can be a sign of gum disease. Lots of patients ask the question on how this bleeding from the gums started suddenly? Bleeding from the gums never starts abruptly (unless there is a trauma). There is a dynamic equilibrium between Gingival bacteria and the host defense mechanism. When this balance tilts (mostly due to poor oral hygiene) bleeding starts. 1) Gingivitis – Inflammation of the gingiva (gums) caused due to build-up of plaque at the gum line. 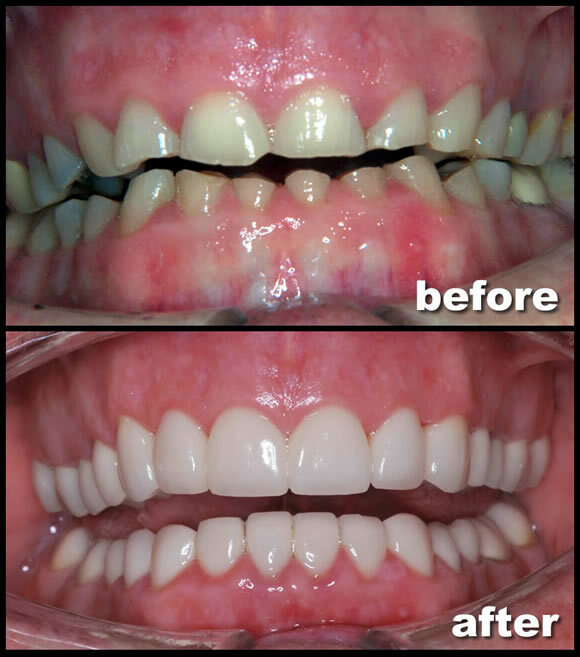 When the condition worsens this gingivitis progresses to Periodontitis. 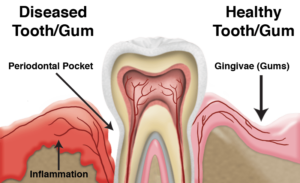 2) Periodontitis – When inflammation involves not just the gums but also the periodontal ligaments and alveolar bone leading to its resorption and the associated loosening or mobility of teeth. 3) Trauma – accident of injury to the gum tissues. 4) Hard Brushing – damage the gingival papillae (gum margin). 5) Ill Fitting Dental Prothesis and Over-hanging Restorations (Fillings). 6) Oral cysts and Tumours are also known to induce bleeding from the gums. 1) Stress – Any stress, be it physical, emotional or psychological. 3) Sleep Deprivation – under 6 hours of sleep. 4) Bleeding Disorders – like Vit K deficiency. 7) Some medications like warfarin and dilantin cause excessive bleeding from gums. Here are some oral hygiene tips that will help you keep your entire mouth healthier and help prevent or reduce gum bleeding. However, it is advised to see your dentist at the first sign of bleeding gums. He will evaluate your condition and prescribe the best treatment for your case. 1) Brushing –When Bleeding from Gums occurs due to poor oral hygiene, the resumption of proper brushing and flossing routine can show a marked improvement. 3) Gargles with Diluted Hydrogen Peroxide – After meals. 4) Visiting your dentist every 6 months – so that early signs of gingivitis can be detected and properly dealt with. 5) In case bleeding from the gums is due to any of the above-mentioned systemic factors, a consultation with your physician is advised. Bleeding gums are a warning and a sign of imbalance in the oral cavity. The Key is to restore the balance. We at Sree Venkateswara Dental Clinics, firmly endorse the age old saying healthy mouth equals healthy body. So, take good care of your gums and if you notice any bleeding – take action. Clenching or grinding of teeth known as Bruxism is a form of parasomnia, clinically defined as “Continued and rhythmic contraction of masticatory muscles combined with tooth contact”. In simpler terms if you have this condition you grind, gnash or clench your teeth unconsciously when you’re awake or during sleep. Bruxism is seen mostly during night time (sleep bruxism). In rare cases Bruxism occurs during day (awake bruxism) as well as night, this sort of bruxism is known as Bruxomania. 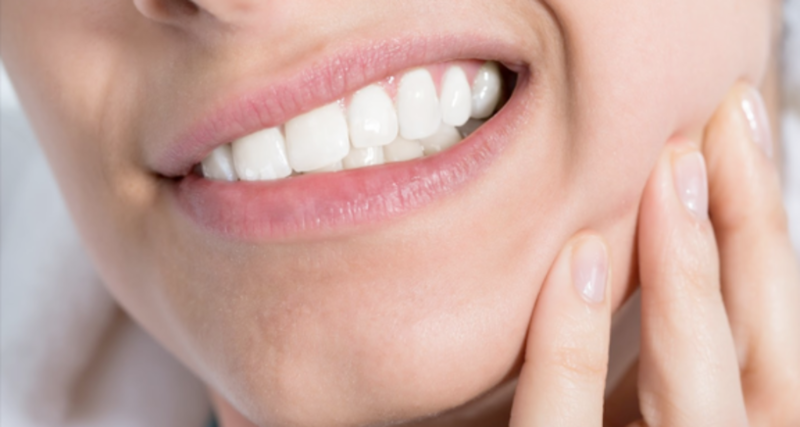 Mild bruxism is common and may not require treatment. However, in people where bruxism is frequent and severe enough, it can to lead to jaw disorders, headaches, damaged teeth and other problems. This is even more alarming because you may have sleep bruxism and be completely unaware of it until some complications develop especially in children. That is why it is important to know the signs and symptoms of bruxism, the causes and to seek regular dental care. According to statistics, 50 to 85% of population has experienced bruxism at some part of their life. Bruxism is a family trait – meaning among 20 to 45% people having bruxism, some other members in the family are also suffering from it. * 3-6% of old people. Mild, moderate and excessive wear and tear due to Bruxism. Unfortunately, very few people even realize that they are clenching their teeth at night, in most cases Bruxism is noticed by their spouses or other family members. 1) A Lot of people complain of a mild headache and even earache especially in the morning. 2) Having a random facial pain especially in the jaw. 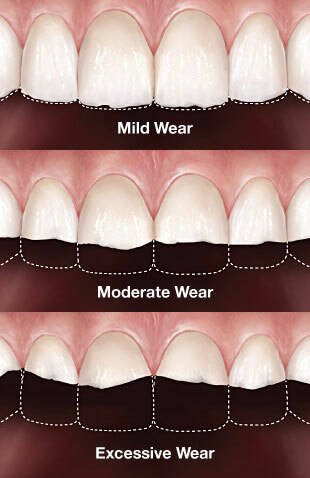 3) Teeth get severely worn out (especially the molars). 4) Receding gums in people who otherwise might not show any symptoms of gum disease (Gingivitis). 5) Temporomandibular Joint Disorders (TMJ). 1) Emotional attributes – anger, stress, anxiety, frustration, sadness and confusion. 2) Age related phenomenon – bruxism is seen more in younger people and declines with age. 3) People having aggressive personality. 4) People having asymmetric teeth. 5) Some medications like anti-psychotics and anti-depressants may also cause bruxism. Most common ones are Serta (Zoloft) and Prozac (Flouxetine). 6) Health problems like Dementia and Parkinson’s Disease. Bruxism is highly treatable once the underlying cause is determined. Elimination of the causative factors in most cases completely cures bruxism. 1) Have lots of fluids, water is the best. 2) Use ice pack (cold fermentation) if jaw muscles are sore. 4) Hard candies, nuts, etc that are hard to chew must be avoided. 5) Adequate sleep (8 hours). 6) Relax the facial muscles – self massage is beneficial. 1) If the underlying cause is found out to be emotional like anxiety or fear then some professional help/ counselor should be consulted. In case of sleep disorders, a physician can also be consulted. 2) Medications – the efficacy of medications against Bruxism is rather questionable, with no concrete proof of their benefits. Though a few researchers advocate the use of muscle relaxant, even Botox to reduce the adverse effects of Bruxism. 3) Mouth Guard or Splint – Mouth Guard can be prepared by the Dentist that covers the surface of the teeth to prevent the teeth from coming into direct contact with each other during the clenching episode. A new type pf splint called the NTI–tss is rather popular these days. This splint covers the front teeth of both the upper and lower jaw, so the molars of both the jaws are always separated hence reducing the contact between the teeth during the clenching episode. 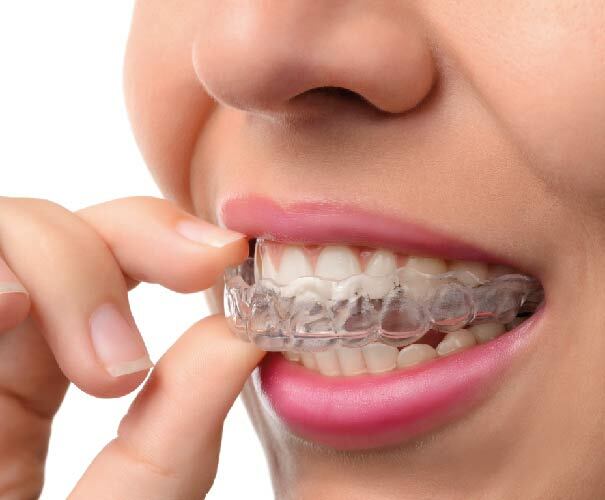 The main purpose of the mouth guard is to protect and limit the extent of bruxism related injuries to the lips, tongue, cheeks and finally the teeth. 4) Crowns and Bridges – In extreme cases, when patients suffering from Bruxism consult a specialist very late, either because of late diagnosis or the patient’s fear of treatment, a lot of damage to oral tissues has already been done. The teeth maybe severely worn down and may even have fracture lines that may be causing severe sensitivity and inability to eat regular food. In cases like these after understanding the underlying cause for Bruxism and going by the severity of the condition, crowns and bridges maybe recommended to the patients. In many cases, all the existing teeth are crowned to offer respite from sensitivity and allow the patients’ to eat regular food items and resume with their daily life. Crowns and Bridges to treat teeth severely damaged by Bruxism. At Sree Venkateswara Dental Clinics, we have always advocated that in cases of Bruxism, early diagnosis and help from a specialist is beneficial in preventing long term and permanent damage to teeth and oral tissues. For many years Warm Saline Gargles (W.S.G.) 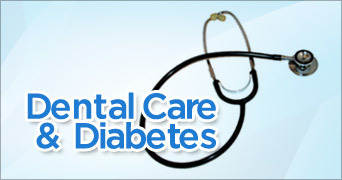 have been advocated by dentists all over the world as a simple yet effective tool for maintaining good oral health. 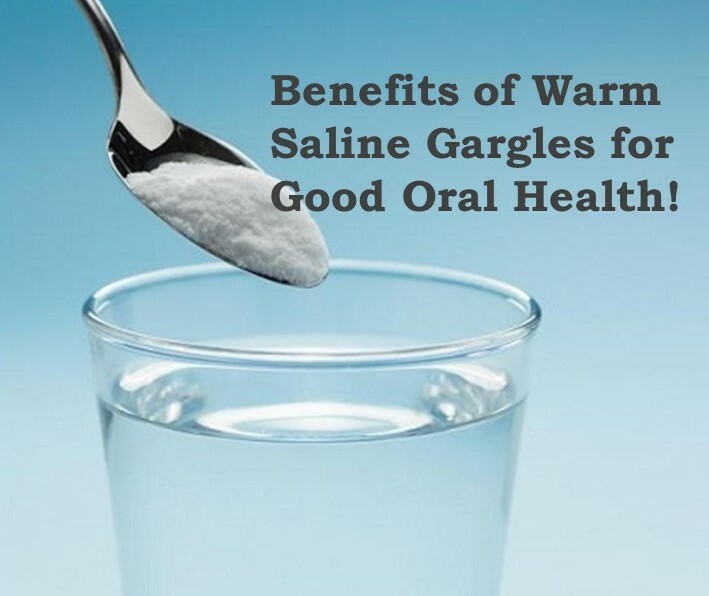 Doing gargles by adding a pinch of salt mixed in a glass (200 ml) of warm water everyday aids in maintaining a healthy mouth and also soothes the throat and reduces upper respiratory tract infection owing to the antibacterial properties of salt. 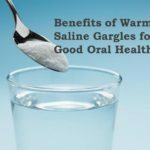 Although the advancement in Dentistry has been unprecedented over the last few years, yet Warm Saline Gargles have retained its importance due to its convenience and the long list of benefits. In today’s times when a majority of mouth washes have alcohol as high as 20% in them, proven to be a primary factor leading to increase in oral cancer cases, warm salt water gargles are ever more relevant. Post Oral Surgery – Doing W.S.G. after oral surgeries like Extractions and Implants reduces the risk of infection and keeps the surgical site clean. 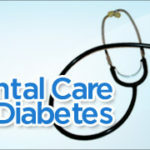 Patients Suffering from Gum Disease – Patients having gum diseases like Gingivitis and Periodontitis are greatly helped by doing Warm Saline Gargles. The salt changes the microflora of the gum tissue (due to osmosis) by flushing out the harmful bacteria and keeping the gingival margins intact while preventing Bad Breadth (Halitosis). Remedy for Tooth Pain – Whenever a cavity is left untreated, it reaches deeper and deeper inside the tooth causing pain. Regularly doing Warm Salt Water Gargles reduces the accumulation of pus caused due to cavity progress, thereby reducing pain. Outbreak of Ulcers – Many times there is a spurt of oral ulcers (i.e. Aphthous Ulcers) in certain people. Doing Warm Salt Water Gargles prevents the risk of infection in these patients and also helps in repair of the inflamed mucosa. Strengthens the Enamel – Salt has one of the most effective ingredients for maintaining enamel strength and the best-known anti-cavity agent ever – Fluoride. Prevents Formation of Plaque – Due to flushing action and antibacterial nature of salt, plaque formation is greatly controlled. It is this plaque that in due course of time gets converted to tartar and causes gum infections. At Sree Venkateswara Dental Clinics, in our experience we have seen the benefits of Warm Saline Gargles and hence have been advising our patients to do W.S.G. at least once before bedtime everyday for the last 40 years.